The next game from Studio Wildcard is Atlas, and it’s the sort of survival-focused online sandbox you’d expect from the people who made Ark. The scope seems much bigger this time around, with promises of 40,000 concurrent players interacting in a single environment. We’re also trading the dinosaur-focused sci-fi for a full-on fantasy naval environment. 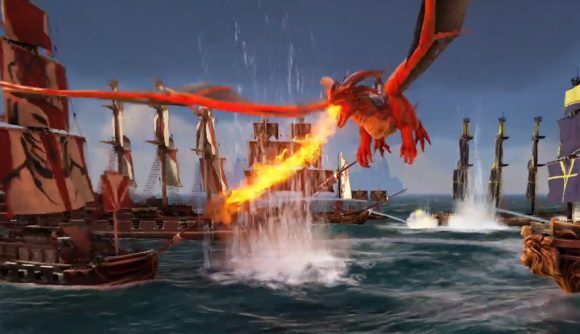 The trailer below shows plenty of cool-looking stuff, like sailing alongside massive sea creatures, doing battle with big ol’ demons, and massive ship-on-ship battles. It looks like you’ll be able to explore ships sunk by other players, too. We’ll find out the details very soon – Atlas launches via Steam on December 13.